CCF Class vs CCF Advanced - Programming & Philosophy. Lately we have had more athletes than ever passing the required level to join our CCF Advanced Classes so I thought it would be a good time to explain the differences, and similarities for that matter, between the two programs. And, I also want to give you guys a little bit of info on what to expect in the programming over the next couple of months! 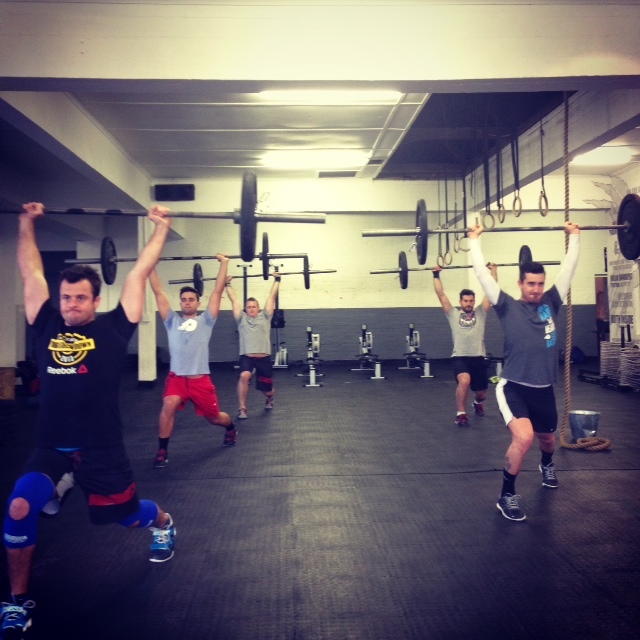 In these classes our main objective is to make you Move Well. Everything else is sub prioritised, but obviously we load you up when that mission is accomplished and increase your physical capacity through High Intensity WOD's as always. These classes are meant to be a great way to improve your GPP (General Physical Preparedness), aka "Fitness" for my less nerdy friends out there. We focus equally on all 10 General Physical skills through old school CrossFit combined with certain Strength and Conditioning progressions to ensure that we focus on what our regular members needs the most! Like said, there are certain progressions "hidden" in the program but more often than not we mix it up completely. One week we Back Squat heavy for load and the next we do lighter load for reps or time in the WOD - funnily enough we always see how either way improve the other. Over the next couple of months there will be a little more focus on pure strength progressions, both Weight Lifting wise (think squat, press, deadlift) and Gymnastic wise as well. We will focus quite a bit on Strict Gymnastics as that is by far the best way of strengthening your body without load. At this stage we require that you do Move Well, we actually only let you pass any part of the test if you show us "great form and virtuosity" with the movement tested, and therefor we are comfortable loading you up with both more weight and more volume. In our new Skill Chart we use the 3rd Level (Big Dawgs) as a test and we state: "Once you cover this entire level you are welcome to join our Advanced Program. This is a slightly more competition oriented program and the volume is higher than in our CCF Classes. To take the test you must have 3 months of experience in the CCF Classes." The Advanced classes are however not ONLY for competitive athletes but simply a class for athletes that have reached a certain level where we believe that an increase in volume and focus on more "advanced" skills will be the right way to continue to improve your fitness levels. We do require athletes taking part of this program to show up to no less than 3 of the Advanced Classes per week and to take their training very serious. The volume is high so make sure to eat well, mobilise a lot and listen carefully to your body. In the Advanced Classes we will also see an even more intense Strength focus over the next couple of months. There will be heavy lifting almost every day, but the Olympic lifts will be attacked with lower percentages to ensure quality over quantity. The metcons will be short and very intense, pretty much All Out efforts every day and we will also program a lot of stamina work to increase your gymnastic capacity. 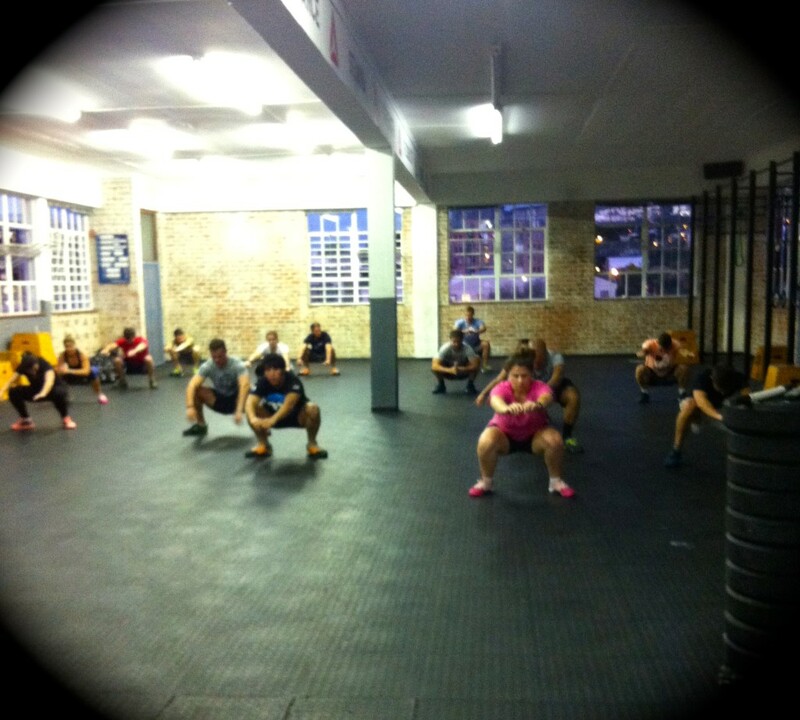 We are actually from tomorrow, the 30th of June 2014, adding our first Advanced Classes in our second box - CCF Newlands. I will coach these 3 days a week at 11am and am very excited to see our athletes in this young box grow with us as well! Well, looking at the above you see that it doesn't really matter what class you are training in, your coaches are always there to make you get the most out of your training. 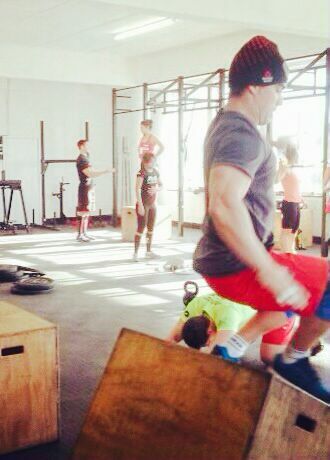 They help you move better and then they push you hard towards better fitness levels when you do. The workouts in the CCF Classes are designed so that any type of athlete should be able to get the absolutely most out of it, meaning that Advanced or "beginner" can do these WOD's next to each other with the same result in the end: fist bumping each other lying down wondering what truck just hit them.. The slight difference might be weight and reps and when needed modification of technical movements for anyone that needs it. Both our programs are currently focusing slightly more on strength, even do we do metcons in some shape and varied length every day, and both of them have proven to produce not only high quality athletes before, but also a general level of fitness in a big CrossFit community that we believe is unmatched! Talking about competitive athletes, we are very proud of our history as one of the most successful boxes in South Africa when it comes to different competitions. 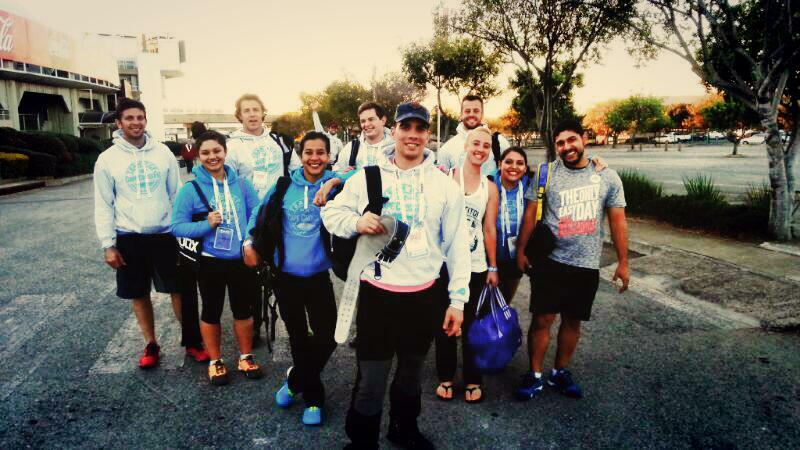 We are constantly up there among the top teams when it comes to Fittest in Cape Town, the United We Stand in Durban, and the CrossFit Games Regionals (competitions which we actually all have won one time at the very minimum), and we plan to stay up there with the African CrossFit Community that just keeps on getting stronger every year. Your job is actually quite easy, keep on showing up to class. If you have secret or spoken dreams about one day joining the Advanced Classes chat to your coaches about it and we will help you identify what to work on and how. But also remember that CrossFit is meant to be fun. It doesn't have to be your profession to make it into something that can be your "sport". We have proven this time after time where we have sent athletes to various competitions and challenges from both our Advanced Classes as well as our CCF Classes, and they have always made us very proud! That said, we are also looking into the potential of us starting a "Competitors Class" where some of our athletes will be invited to make CrossFit their chosen full-time sport. At this level they will have to "Live, breath and sleep CrossFit" and it is not something we will ask of anyone not asking it from us first. What to do to get to this level? Well show up in class every day, work hard on your weaknesses and start glancing at the incredible feats required to get invited by passing the "Wolf Pack" level in our Skill Chart..